With a dominant showing in the ACC Championship Game, Florida State clinches a spot in the BCS title game and finishes an undefeated 2013 season. Florida State took care of Duke easily and will remain the No. 1 team when the final BCS standings of the year come out Sunday night. The Seminoles will await an opponent — either Ohio State or Auburn will be on the opposite sideline when the title game kicks off from Pasadena on Jan. 6. Led by Heisman favorite Jameis Winston, the Seminoles will be headed to their eighth BCS bowl, and second straight after topping Northern Illinois in last year’s Orange Bowl. Florida State is back in a BCS bowl. For the first time since the 2006 Orange Bowl, the Seminoles will return to the group of five bowls that make up the BCS after an absence that knocked them from the ranks of the traditional BCS combatants. 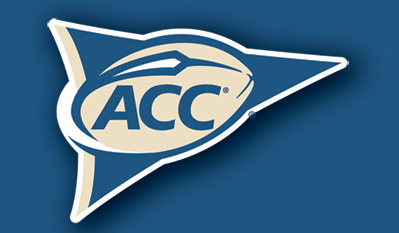 The Seminoles’ 21-15 victory over Georgia Tech in Saturday’s ACC Championship Game will send Florida State back to the BCS as the recipient of the ACC’s automatic BCS bowl bid. 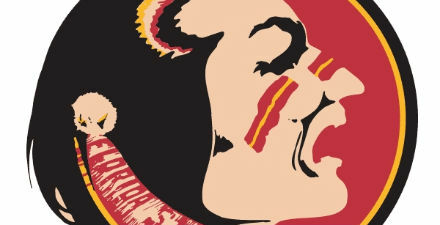 And because the Seminoles are not vying for the BCS national title, they will represent the conference in the Orange Bowl this year. The Seminoles can anticipate an at-large opponent or the Big East’s BCS representative, Louisville, to meet them in the New Year’s Day night game. Florida State went to a BCS bowl in six of the first eight years of the BCS era, but after Virginia Tech took over the Seminoles’ mantle as the perennial BCS combatant from the ACC, Florida State had a long break from the Bowl Championship Series. Virginia Tech used a masterful performance from quarterback Tyrod Taylor and a well-rounded attack to take down Florida State in the ACC Championship Game and claim an ACC title and Orange Bowl bid. 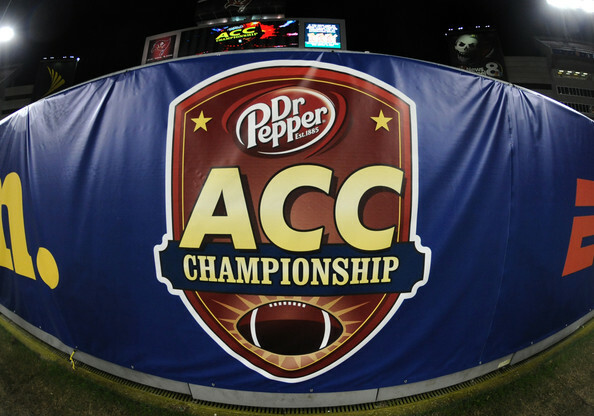 By winning the ACC Championship Game but not making their way to the national title game, the Hokies will fulfill the ACC’s contractual agreement with the ACC and act as the host of the Orange Bowl, which will be held January 3 in Miami, Fl. The Hokies had an inauspicious start to their 2010 season, losing two straight to Oregon State and FCS James Madison, however since that embarrassing loss to a FCS team, the Hokies have reeled off 11 straight victories. The Hokies’ opponent is yet to be decided in the Orange Bowl, but will likely either be the Big East champions or the Stanford Cardinal. 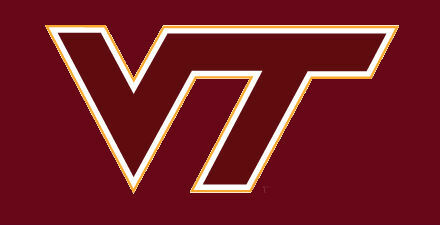 This will be Virginia Tech’s fifth appearance in a BCS bowl and third Orange Bowl appearance in four years. Each week we like to say something to effect that the BCS picture is clearing up and we’re getting a better understanding of the BCS picture. In reality, with the unpredictable nature of the BCS and college football as a whole, the only time when we’ll ever have a clear picture is after the final game is played. Luckily (or unluckily depending on how you view it) we will finally get the clarity that we’ve been working towards all season this weekend, as the 2010 regular season comes to an end with Championship Weekend. Championship games in the Big 12, SEC and ACC along with conference-deciding games in the Big East will make this final weekend an exciting one beginning to end, and nearly every game has an effect on postseason positioning — especially of the BCS variety. Among the guarantees of this weekend — which are few and far between — are that the winners of the three automatic qualifying conference championship games will be headed to BCS Bowls. And in all likelihood, the winner of the ACC game (Virginia Tech or Florida State) will be going to the Orange Bowl and the winner of the Big 12 game (Nebraska or Oklahoma) will be on their way to the Fiesta Bowl. But past that, it gets a little more complicated. A win in the SEC Championship Game would obviously give the Auburn Tigers a berth in the BCS National Championship Game, but what if they lose to South Carolina? Where would Auburn end up and how would that shuffle the picture? Where will TCU end up? The Horned Frogs are done with their season and would be headed to the Rose Bowl if they don’t get to the BCS title game and Oregon does, but what would it take to send the Horned Frogs to Glendale? Oregon and Auburn stand in their way, and although the Ducks have already clinched a spot in the BCS, they will need to beat instate rival Oregon State on Saturday to secure their spot in the title game. A loss, and who knows, we could actually have the non-AQ team in the title game everyone has been talking about. The Big East will also be supplying a team to the BCS, however it could easily be any of the three remaining teams in contention for the crown — who will all be in action on Saturday. Connecticut, West Virginia Pittsburgh, remain alive, with the Huskies controlling their fate despite having four losses to their name. The final weekend of college football always features a bevy of possibilities to be pondered, but this year’s edition raises an exceptionally large number of questions and possibilities. BCS Know How will be here on Saturday guiding you through the action and then on Sunday as bowl selections and BCS rankings are released. To get up-to-the-second updates from BCS Know How follow us on Twitter @BCSKnowHow. We’ll also be setting up a live chat for any questions and selection weekend hub page to help you gather all the information you’ll need in order to fully understand the selection process and BCS system when the time comes for the final announcements. It’s going to be a great weekend, enjoy. Maryland’s upset 38-31 victory over NC State on Saturday has given the ACC Atlantic Division title to the Florida State Seminoles, and in turn, a berth in the ACC Championship Game to be held next Saturday, December 4. Florida State had not been in control of its own destiny on Saturday, instead playing Florida in a non-conference rivalry game while Maryland and NC State played in the game that would decide the Atlantic victor. The Seminoles were convincing in their 31-7 victory over Florida, however the game could not effect the race for the spot in the ACC Championship Game. An NC State victory would have given the Wolfpack the Atlantic crown and sent them on their way to Charlotte, North Carolina to play for the ACC’s automatic BCS bowl bid and likely trip to the Orange Bowl. However with a chance to control their own BCS destiny, the Wolfpack fell just short against the Terrapins. The Virginia Tech Hokies will be awaiting the Seminoles after they clinched their spot in the game last weekend, and rounded out their ACC schedule on Saturday with a convincing victory over Virginia. With their victory over Miami on Saturday, the Virginia Tech Hokies clinched a spot in the ACC Championship Game, to be held December 4th in Charlotte, North Carolina. The Hokies started the season with two crushing losses to Boise State and FCS James Madison, but rebounded and are now the only remaining team in the ACC to be undefeated through conference play. The Hokies play Virginia next weekend, and a win there would give them a perfect 8-0 run through their ACC schedule and 10 straight wins headed into the ACC Championship Game. The Hokies will either face the Florida State Seminoles or the North Carolina State Wolfpack in the ACC Championship Game. If the Maryland Terrapins beat NC State next Saturday, the Hokies will face Florida State, however if the Wolfpack beat the Terrapins, the Hokies will see NC State on the other sideline. 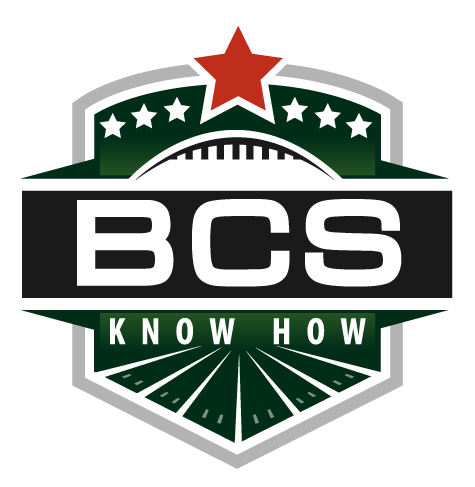 As part of BCS Know How’s 2010 college football season preview, we will be breaking down each week’s most important games that could have BCS and postseason implications in the “Road to Glendale 2011”. Let’s move on to Week 14 where the three BCS conference championship games will play a huge role in which teams make BCS bowls in 2011. In what will be the conference’s final championship game, a matchup of two top-ten teams is more than likely in a very deep 2010 Big 12. Among the favorites in the North are the defending division winners Nebraska, a revitalized Missouri team and even possibly an unexpected team, like a Colorado or Kansas. The Big 12 South is sure to once again provide some of the best conference action in the country in the upcoming season, and when the time comes for the South to fill its bid, it could go to a team that has been battered by a tough schedule. Oklahoma and Texas — as in years past — are the favorites, but don’t overlook teams like Texas Tech and Oklahoma State in the division. Some might wonder if the ACC Championship Game has lost some of its luster in the past few years when the game failed to provide truly compelling matchups. However, in 2010, you can expect two high-quality opponents to make their appearance in Charlotte for this years’ edition, as the ACC looks to have a bevy of talent and good teams all around the conference. Among the favorites are Virginia Tech, Florida State and defending ACC champ Georgia Tech. No matter what the matchup is, you can expect the ACC Champion to be a nationally vaunted team, and who knows, even a contender for a BCS National Championship. The last four years of the BCS have been ruled with an iron fist by the teams from the SEC. And for each of those four teams, the SEC Championship Game was their penultimate proving ground before making their way to a national title. Could 2010 be more of the same? Alabama, Florida, Georgia, Auburn, Arkansas and even more give the SEC the depth we’re used to expecting from the conference, meaning that we could be headed for a national semifinal of a SEC Championship Game, as it has been in the past few seasons. The defending champion Crimson Tide must be the preseason favorites, but any of the aforementioned teams can make a legitimate run at the title. The SEC continues to be the best conference in the country, and there’s no reason to think the dominance will end anytime soon. We should be treated to yet another high-quality and top ranked matchup when the final week of the regular season comes around. Last year, this “Civil War” decided more than just the statewide bragging rights for the Ducks and Beavers. Oregon’s victory in this game allowed the Ducks to return to the Rose Bowl for the first time since 1995 and their first Pac-10 title since 2001. This year’s matchup will feature some of the stars that featured heavily in the decisive game last season, including Oregon running back LaMicahel James and Oregon State back Jacquizz Rodgers. 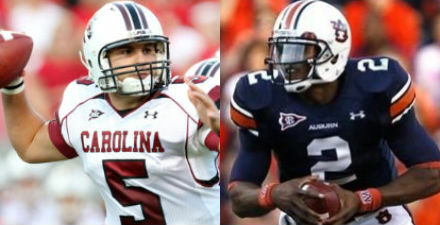 However, both teams will be relying on new quarterbacks this season and their respective play could end up not only deciding which team is victorious in the Civil War, but whether that team is successful throughout the 2010 year. Other Games of Note: C-USA Championship Game, MAC Championship Game, Pittsburgh at Cincinnati.